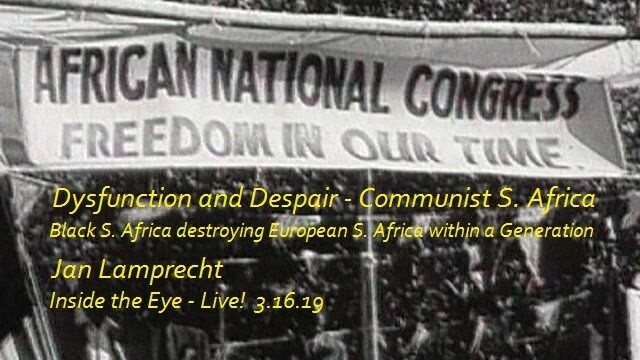 S. Africa - Dysfunction and Despair | Inside the Eye - Live! 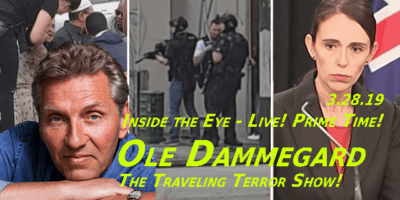 Jan Lamprecht, who authored a prescient book “Government by Deception“, which is available on Amazon, made a repeat guest appearance on Inside the Eye – Live! on Saturday, March 16. We discussed the history of S. Africa’s fall and how what happened to S. Africa is more akin to a literal take-over of the country by a foreign hostile force than a process of organic political change. To put simply: S. Africa, the European founded and honed nation, was eliminated. What remains is a nation called “S Africa” in name only. 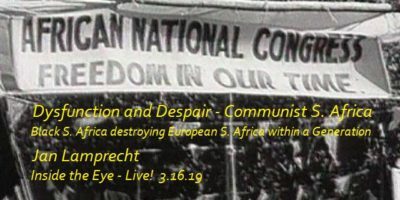 In truth, it has fallen to a lawless international Communist criminal cartel and the wealth that Europeans built within this land is being slowly but surely ripped apart and devoured just as surely as what was once Rhodesia is now a land of devastation and dysfunction. The ongoing saga of “King Cornelius III” and the “Khoi San” was discussed, with Jan’s opinion being that King Cornelius is largely a fraud and that his actions and plans were long ago dead in the water, never really being able to even get launched into open water. In the meantime, the King has been able to take in considerable money and is, at least, now being able to show and live as if he is a King. African dysfunction remains a key area that highlights the difference between Western nations and African nations at large. After the fall of S. Africa to the Communist Nelson Mandela, aided as it was by international Jewish power, the new country instituted a radical policy of “redistribution of wealth” the majority black population. These efforts at redistribution of wealth include land expropriations wherein some 4000 farms and rural properties have already been expropriated, and in national income (salaries) which demand that companies replace their European diaspora workers with blacks. The result is that S. Africa teeters on the verge of total dysfunction. Jan argues that Whites remain the only truly functional people within S. Africa as an aggregate group and that it remains now in the best interests of Whites to withdraw from S. Africa in any meaningful participatory capacity, and act of defiance that will accelerate the implosion of the “state” of S. Africa as the former nation of S. Africa was the only African state to achieve first world status, an accomplishment sufficiently complex enough that black dysfunction cannot hope to maintain. Jan will be appearing in the United States at the “Fash Bash” in April. Details to be announced.